Singer Paul Janeway (AKA St. Paul) has a voice a bit like Sam Moore (of Sam & Dave) or maybe even Al Green, and other southern soul singers of the past. He and his group, The Broken Bones, have a retro soul sound. This is something the likes of Lee Fields have mastered in recent years. What this isn’t is “neo-soul” like that of Raphael Saadiq, Macy Gray, or Amy Winehouse, who apply a more modern sense of detachment and even cultivate an elitist camaraderie with supposed social misfits set aginst old fashioned arrangements and instrumentation, or the more progressive types who have tried to rethink some of the foundations of soul music and flirt with hip-hop elements, like Erykah Badu, D’Angelo and Lauryn Hill. If the band’s web site press release is to be believed, Janeway grew up steeped in gospel music, not soul, rock and other secular music. This would, in theory, position him in much the same place at the first generation soul singers, who drew from gospel more than anything else. But Janeway also cites the showmanship of Tom Waits and Nick Cave & The Bad Seeds. A grim, gothic edge like those secular rock music influences might be detected more in the guitar and drums than the vocals on Half the City. 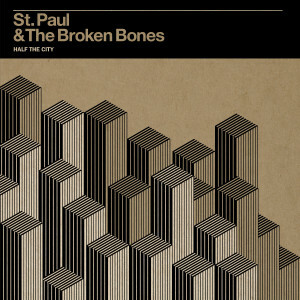 But those reference points also hint at the likely audience for St. Paul & The Broken Bones. This is music mostly for urban, affluent and educated people; a mostly white audience. The retro stylings are for people with the time to reconsider the past, finding that the sophisticated edginess of old soul music gives voice to what is is relevant to their own contemporary experiences. The pose a question of what authenticity means today. The opener “I’m Torn Up” is a slow burn torch song with a horn section playing something not unlike Terence Trent D’Arby‘s mid-1990s UK hit “Holding on to You.” D’Arby may not seem like the most “authentic” soul music reference point, even if he did make some convincingly good music in his day, but there are some similarities in the horn charts. There is punchy guitar on the title track “Half the City.” A little guitar distortion shows up at the very end of “Dixie Rothko.” These are just elements of the music, juxtaposed to create a hint of more contemporary relevance. Half The City keeps ahead of any claims of monotony. There is a nice balance between more up-tempo numbers, and slower ballads. And there is Janeway’s voice. He’s a surprisingly good soul singer. His vocal tone is just a bit sour, in a slightly higher register than some of the gruff and gravelly southern soul singers of the past–Sam Moore is definitely the closest comparison. Janeway tries to shred his vocal chords at times, and while it occasionally seems like he needs a little more momentum to really do it, the mere process of trying is enough for the performances to succeed. Retro music can sometimes be hollow. As an approximation of something else, it can lack immediacy and vitality. Not so with Half the City. This is music that might adopt the styles of the past, but it mostly cruises by with a lot of energy, retaining a looseness that sidesteps the problems of stifling perfectionism. Along with Lee Fields’ Faithful Man (2012), this is probably one of the most durable retro-soul albums of recent years. The third bestselling book in the United States in the Nineteenth Century, Looking Backward is a novel about Julian West, a wealthy man living in Nineteenth Century Boston, falling into a trance for more than a century and waking up in a socialist utopian society in the year 2000. The book is mostly a series of monologues in which the characters describe the new society. There is a terrible romance subplot tacked on. Basically, the writing is dreadful, taken on its own. But this book captured the imagination of America as it industrialized. The economist Thorstein Veblen cited this book as a key influence, and you might say that most of Veblen’s academic career was focused on establishing genuine economic theories that would move real-life society toward the utopian one outlined in Looking Backward. Critiques of Bellamy’s vision are that while he presents a compelling economic utopia, he falls short of describing gender equality, for instance. Still, as a description of a democratic society that fulfills the sort of ideals Jean-Jacques Rousseau outlined during the Enlightenment, this is one of the most positive. This isn’t written as an attack on anybody, really, but as a description of how things could be so much better. It aims to convince by showing the benefits of a non-capitalist economic system. 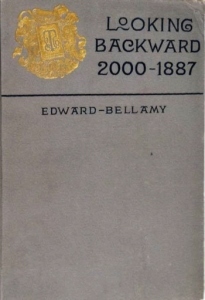 Bellamy also wrote a sequel Equality (1897). The Rolling Stones made one out-and-out psychedelic album. It was Satanic Majesties. The record is a non-stop creative journey. While perhaps the most idealistic Stones album, Satanic Majesties also has a gritty, cynical realism just under the surface. Somehow this lends power to the dreamy psychedelia. It makes the music more legitimate. The uplifting qualities aren’t escapist. “She’s A Rainbow” is such a wonderful song. It opens with an electronic and found sound segment before leading into sweet piano melody. John Paul Jones (future Led Zeppelin) provided string arrangements. While there is a lot of effort to organize the music, this is still more instinctual than perfectionist. It feels so natural. Even the eeriness seems to belong where it is. The array of instruments used, from horns to a xylophone, make songs like “Sing This All Together” vibrant. Each little sound contributes something unique. Two more of the very best songs are “2000 Man” and “2000 Light Years from Home.” The disillusionment and desire of “2000 Man” make quite a potion. The acoustic guitar seems to merge with the sitar. I sometimes think it is a song about a homosexual in a heterosexual marriage, but I see that as only one of many interpretations. It also is about modern alienation and the desire to cure intractable loneliness. The spooky “2000 Light Years from Home” has a Moog synthesizer slinking along a rather hip rhythm. “Sing This All Together (See What Happens)” tends to get a critical thrashing, but this is unfair. This post-modern sound collage went down before Captain Beefheart, Funkadelic, Miles Davis or just about anyone else in rock, pop or jazz dared actually try such a thing–though The Mothers of Invention did some similar things around the same time. “Citadel” is a rocking song about New York City. Jagger throws in some references to some locals including Candy Darling (also the subject of The Velvet Underground’s “Candy Says”). “Gomper” and “In Another Land” tend to wander a bit, though they still are for the most part good songs if taken on their own terms. 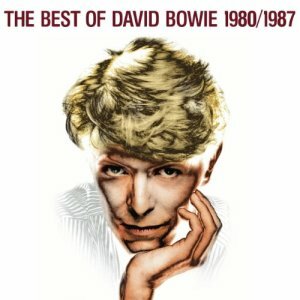 People tend to dismiss this album as a failed attempt to match The Beatles’ Sergeant Pepper’s Lonely Hearts Club Band. I have never been convinced Sergeant Pepper’s is so great an album, even if it has a few great songs. But more to the point, this album is more like Pink Floyd‘s The Piper at the Gates of Dawn than Sergeant Pepper’s anyway. 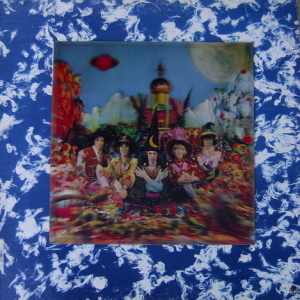 In any event, Satanic Majesties is a wildly unique, modern and enjoyable album–not just among Stones albums. I start listening to it to try to entertain myself but then I always go further and open my mind to new ways of hearing and thinking. 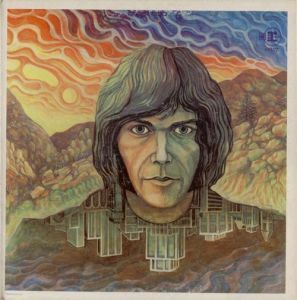 Neil Young’s debut album might be his least memorable. It isn’t his worst, exactly. But it is an album that lacks the indomitable personality that made his later albums so great. 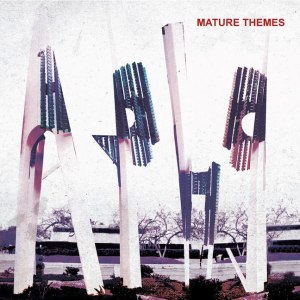 This sounds like a typical late 1960s album from L.A. In fact, there are a lot of similarities to Harry Nilsson of the era. There are tunes that have a heavy psychedelic folk sound, a psychedelic rock sound, and a country rock sound. Rather than have Young sound like himself, he’s sounding like what was popular at the time. This is the same problem with most of the first part of Willie Nelson‘s career. There isn’t much of an attempt to register dissatisfaction here, which is really Young’s strength. Anyway, Young accomplished a complete turnaround with his follow-up with Crazy Horse, the excellent Everybody Knows This is Nowhere (1969). By the late 1980s, hip-hop was evolving. It wasn’t just about sneakers, nursery rhymes, eating boogers and dancing anymore. But while plenty of artists of the newer generation went for documenting the grimmest aspects of life on the streets or being part of the underclass, a group of artists calling themselves the Native Tongues tried something different. The Native Tongues groups focused more on the positive aspects of what they would want things to be like. Part of that was about respect for the historical contributions of Africans to world civilization. Unlike most multi-MC groups, the Jungle Brothers didn’t have one MC who overshadowed the others. Everybody shares duties on the mic, and there is never a letdown when another MC takes over from the last. In fact, that is one of the group’s real charms. Part of the reason Done By the Forces of Nature works is that the MCs tend to all use the same vocal rhythm, rather than their own idiosyncratic ones. It is a very staccato, percussive delivery, free of any of the more melodic kind of rapping that emerged a decade or so later. This rhythmic emphasis is a shared approach. So when one MC passes the mic to the next, there is a kind of stylistic commonality that tells the audience that these guys are trying to get at some big, heavy stuff, not trying to cut each other, or anybody else. This is a style that perfectly fits the thematic sentiments of the songs. The lyrics hint at a new view of masculinity, at least within hip-hop. There is caution and skepticism. This isn’t all bravura (though there is plenty of that). In way, their sexist posturing kind of gives way to brief admissions that all that is just desperate attempts at something they can’t really grasp, leaving open the possibility to maybe taking a new and different look at the world. It would be too much to call these guys feminists, but the ways their songs veer off course from the usual testaments to alpha male status open the door to other things. Most often those other things are testaments to afro-consciousness. But the crazy thing is that if the album had nothing but testaments to afro-consciousness, the people who probably need to hear those the most might not listen, and even those that do maybe would have only focused on everything else. A clear influence on the Jungle Brothers was James Brown. A really funky beat is absolutely constant. It is a big part of what makes Done By the Forces of Nature so damn infectious from start to finish. Their debut record used a “house music” producer from Chicago, and that gave it a tight, tense, nimble sound. That goes out the window here. A little bit of that is retained, perhaps, keeping this music dance friendly. But the beats meld with the lyrics a lot more here. Take the opener, “Beyond This World,” there is a lot more wordless shouts of “yeah” or “uh” for rhythmic effect. These guys seem much more comfortable, less beholden to the structure of the beats. They make this music their own. These seem like raps over music these guys had lived with. That suits their artistic outlook, giving the album a friendly, down-home brightness that rewards the optimism of the lyrics. It helps that this album was recorded in the “golden age” of hip-hop, before the crackdown on sampling that began in 1991 with a lawsuit against Biz Markie that made choice samples unaffordable to many acts. Hip-hop was still a semi-unproven commercial prospect back in the late 1980s. It was a kind of specialty genre, with its adherents who probably were insiders to hip-hop culture. Done By the Forces of Nature comes at a key transition, when the forms of early hip-hop were fully refined, but when the scope and direction for the next generation was only being sketched out. The positive, open-minded approach that The Jungle Brothers and other Native Tongues acts put forward didn’t quite catch on like the ghetto tourism aspects of “gangsta” rap. Still, this album hasn’t aged much in two and a half decades. It still has good beats, true to the funkiness of James Brown, though the beats are part and parcel of the overarching sense that these guys were making the kind of music that they like. By extension, they suggest that maybe they could also do what they like when it came to the subjects they rapped about. This is the really subversive edge. The journalistic chronicles of gangsta rap held everything in stasis. They told things as they were. 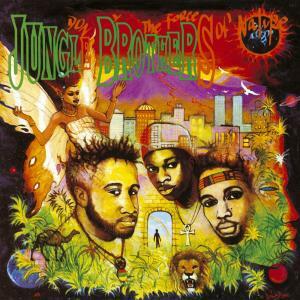 The Jungle Brothers suggested what things might become. Their visions might be a little inept an inarticulate in places. Stumbling in an interesting direction proved a bigger achievement than just being the black news (journalism) network. This was black philosophy: asking better questions.